I need the rubber rings that go inside the blade part of the unit. Can extra rubber rings be purchased ? BEST ANSWER: Thank you for your question. This includes the blending base, 24-oz. cup, 18-oz. travel cup with flip lid, 12-oz. 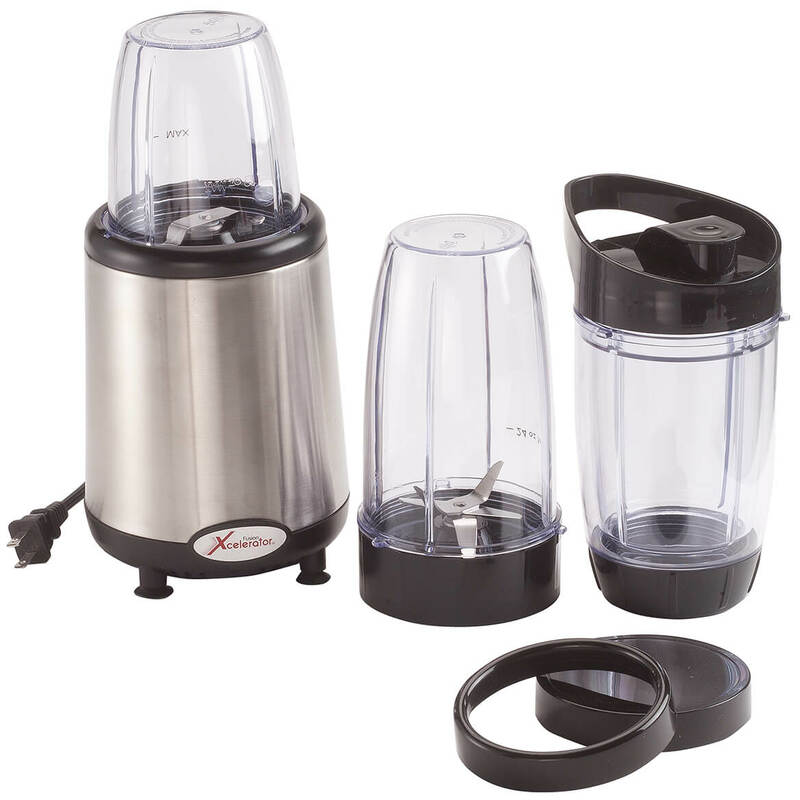 cup, dual blade, quad blade, drinking ring, storage lid, 24-page recipe book, Meal Plan with over 100 recipes, Fitness Guide, 142-minute Bonus Workout DVD, 10-day Jump-Start-Your-Results Guide. We hope this information will be of help to you. BEST ANSWER: Thank you for your question. 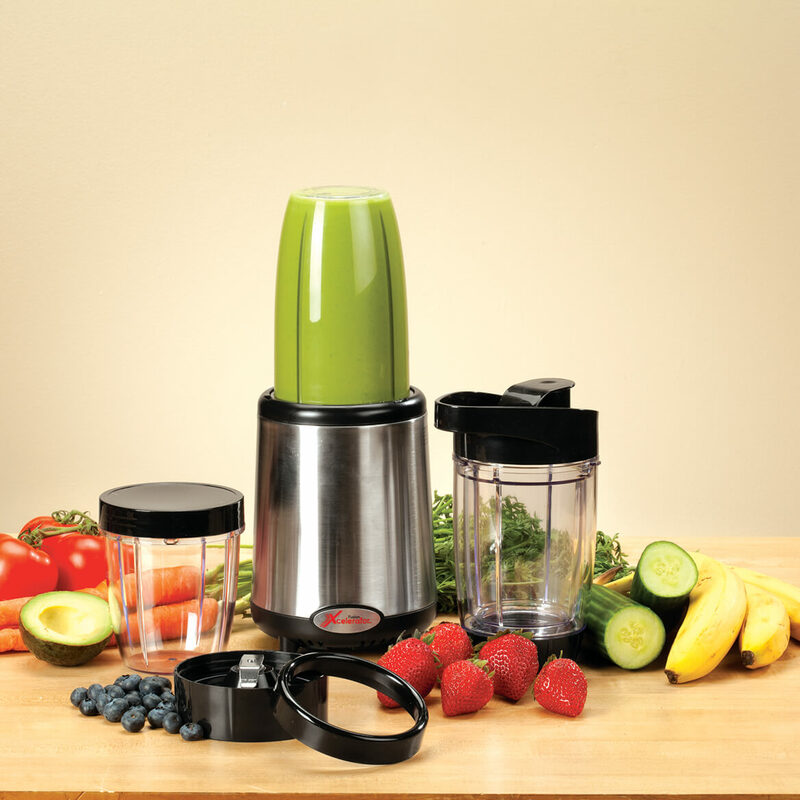 The blender includes blending base, 24-oz. cup, 18-oz. travel cup with flip lid, 12-oz. 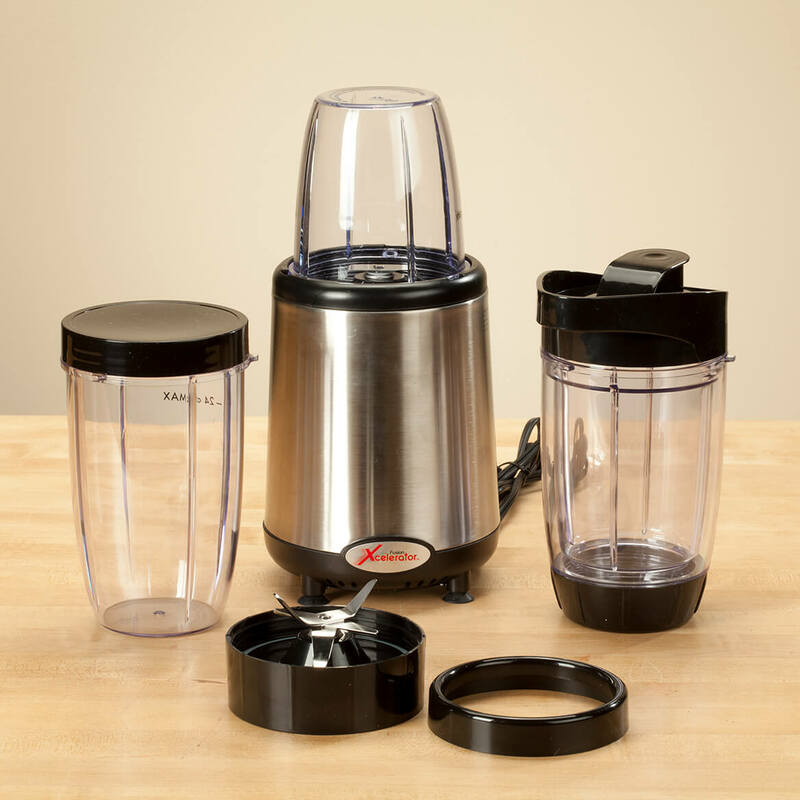 cup, dual blade, quad blade, drinking ring, storage lid, 24-page recipe book, Meal Plan with over 100 recipes, Fitness Guide, 142-minute Bonus Workout DVD, 10-day Jump-Start-Your-Results Guide. We hope this information will be of help to you. does it have a how to and receipes? BEST ANSWER: Thank you for your question. This does not include recipes. We hope this information will be of help to you.